Elizabeth and Daniel have a very unique attribute to their relationship! They’re each from a set of twins! Having such a special bond between siblings has definitely taught these two a deeper understanding of kinship. Spending their first three years of dating apart for schooling, Elizabeth and Daniel created a solid foundation to start their journey in raising Karter and Kellen together. Oh and Toby! We can’t forget about Toby! 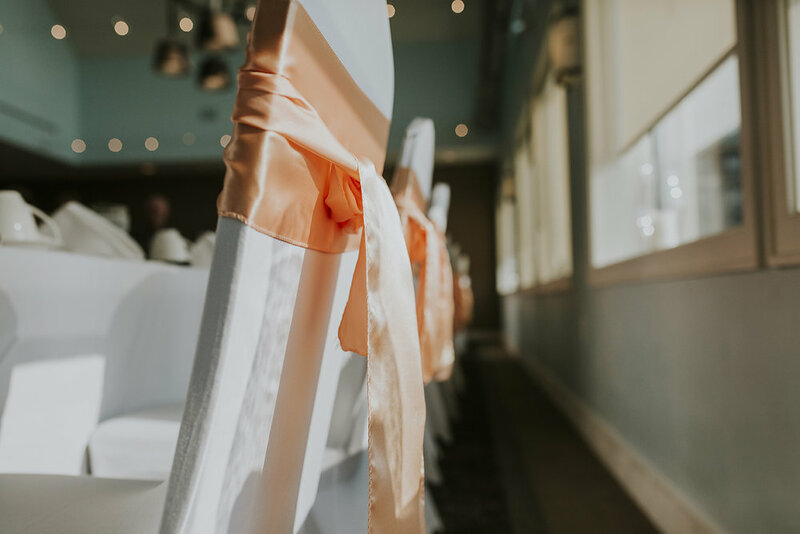 The Harwoods were married on September 29th 2018 at The Point at Shoreline Inn. Their reception took place at The Lake House! Here are a few photos from their day! The Bryant’s are such a talented couple. Jason is a musician and Katie is a crafting genius with jewelry and embroidery. After all, she made almost all the decorations used at their venue including the giant paper flower backdrop. Their whole wedding was in walking distance within downtown Muskegon! We strolled around between their ceremony and reception to get photos and drink whiskey in a parking lot. The day was full of sunshine and lots of bold color. The first of September, if you don’t recall, started off with a downpour. Soggy grass, flat gray sky, and the Scott’s outdoor ceremony was moved inside the barn at Hydrangea Blu. We covered our gear and moved quickly into the fellas room and then the ladies room, maneuvering everyone around under a few umbrellas. As the ceremony approached, the rain stopped and we were granted a beautifully textured sky! Emily and Quinn are such a fun-loving, smiling couple. The first of September also provided Emily’s best friend to give birth, which she FaceTimed during the reception. So an extra congratulations to Kasey and baby Tucker. It truly was a day of new beginnings. *Vendors listed below the images! Enjoy! It feels like I've known the Zitka's much longer than I really have. Sometimes you get a couple and just click right away, like you've been waiting for them particularly your whole career. Melodie is one of the kindest women, I'm so happy for her and Chris as they move to the next chapter of their lives. It was a hot day so we found refuge for their portraits in a fern-covered forest floor just off the bike trail in Whitehall. 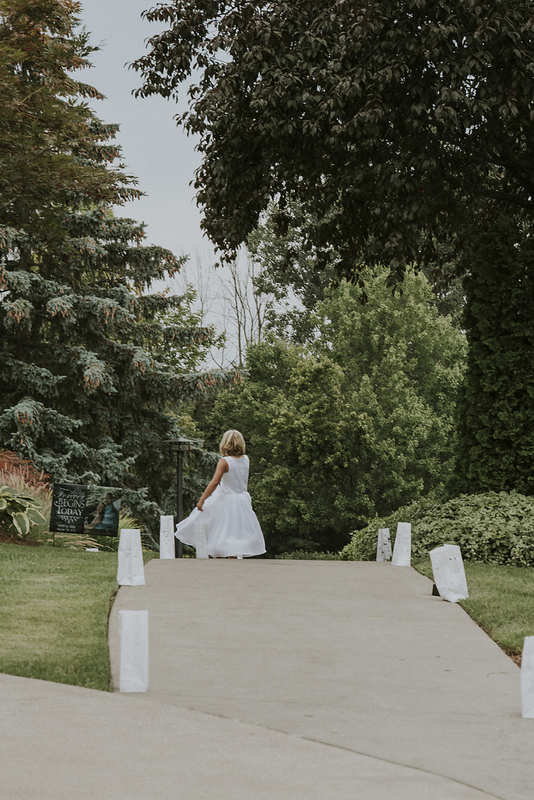 We traveled from The Chapel in the Pines at Fruitland Covenant Church to The Ballroom inside the Hilt Building in downtown Muskegon where the reception took place. Favorite moment of the reception; Garter Toss overshot to the rafters! Thank you both for having us! Our last wedding of the year, on the last Saturday of the year! 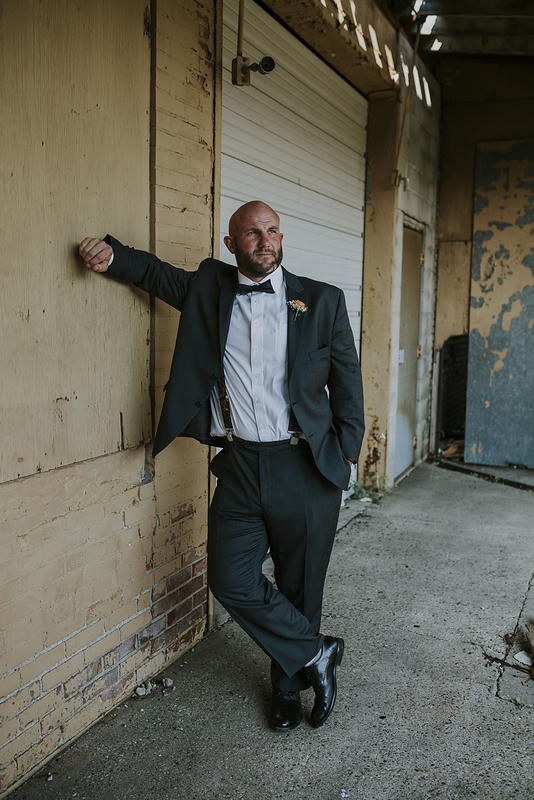 The Shrode's are probably still thawing from the cold they braved as we stepped outside of Fricano's to take their wedding portraits. Drapery and sparkles, the place looked incredible. 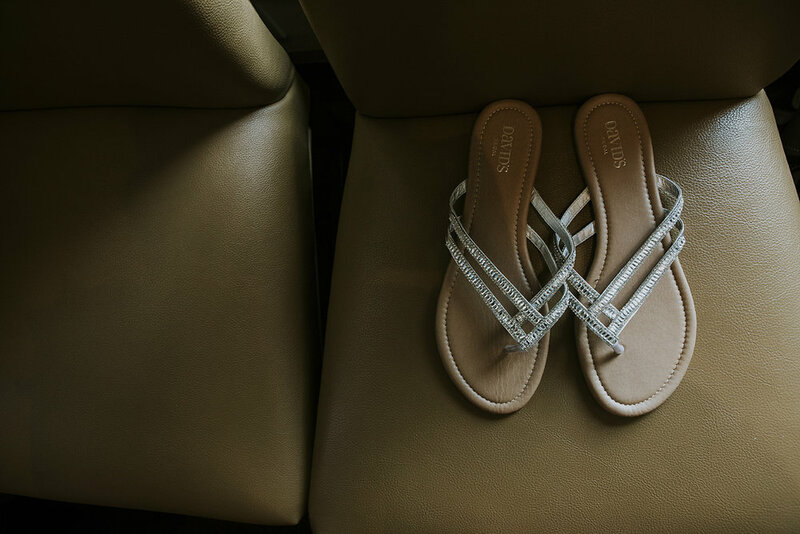 The ladies got ready at the Shoreline Inn and we traveled over to the venue to prepare for their ceremony. Naturally, I head over a little early and took a sharp turn to see this potential shooting spot. It must have slipped my mind that we just had about a foot of snow here in Muskegon and that I drive a toaster-sized vehicle. Immediately stuck, a large group of gentlemen come to push me out. to which they replied..."are you the photographer?" Nothing beats a first impression! Thank you both for having us. We wish you an eternity of happiness and love. The day was warm but showing rain on the radar. Thankfully, the Hill's had a back-up plan for their fall, outdoor ceremony (that went unused!). 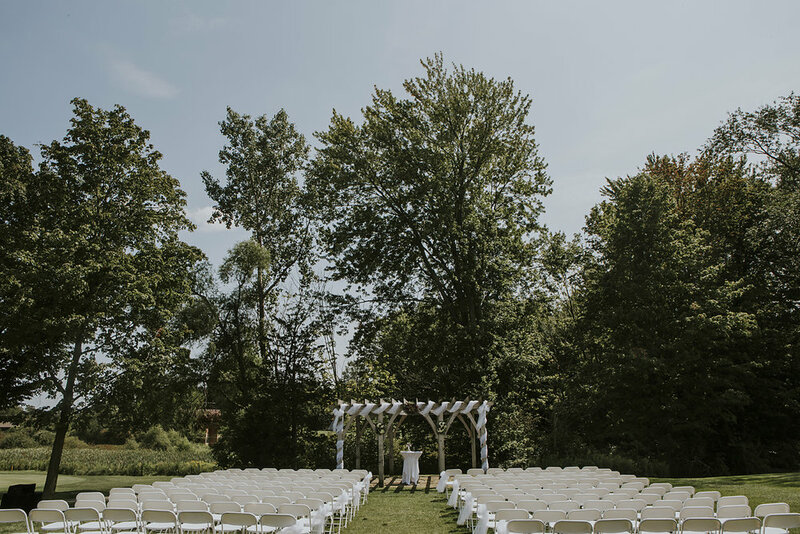 The weather cooperated and they were able to use the beautiful gazebo at the Trillium in Ferrysburg. 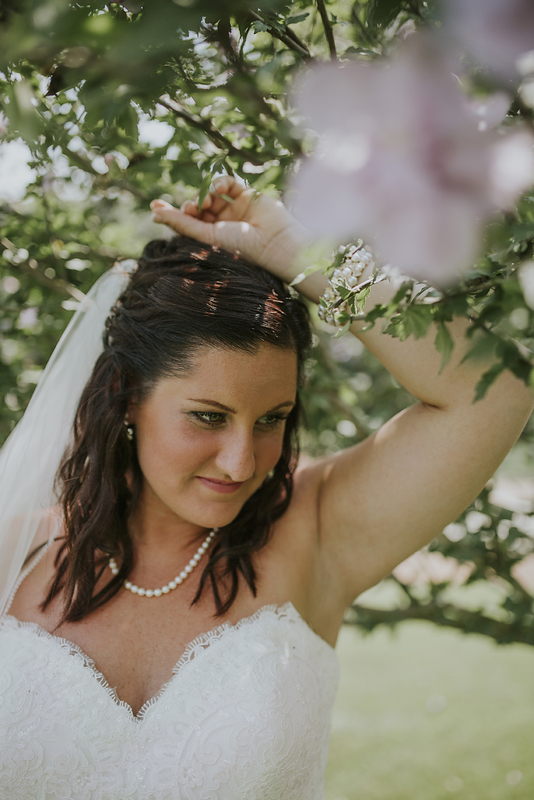 Although, the clouds did let loose on us briefly during bridal portraits! Thankfully, I had a back-up plan too! The remaining portraits were taken under a bridge in Spring Lake. Don't let that rain worry you, we can make it work! Of course, Tony & Becky didn't worry. They were joyous and cheerful all day. Like the quote says "I like people who smile when it's raining." 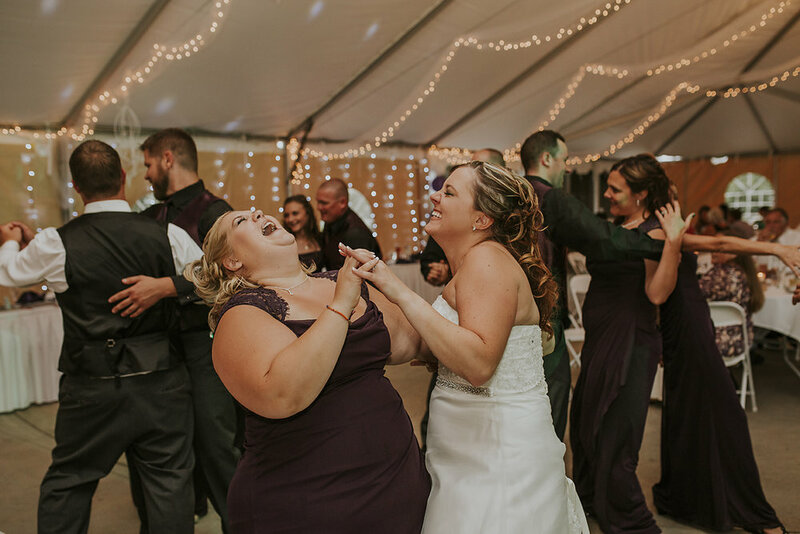 Jamie and Steve's ceremony and reception were held at The Old Stonegate Farms in Nunica, Mi. They exchanged promises under the setting sun and it was evident that love was their greatest accessory. 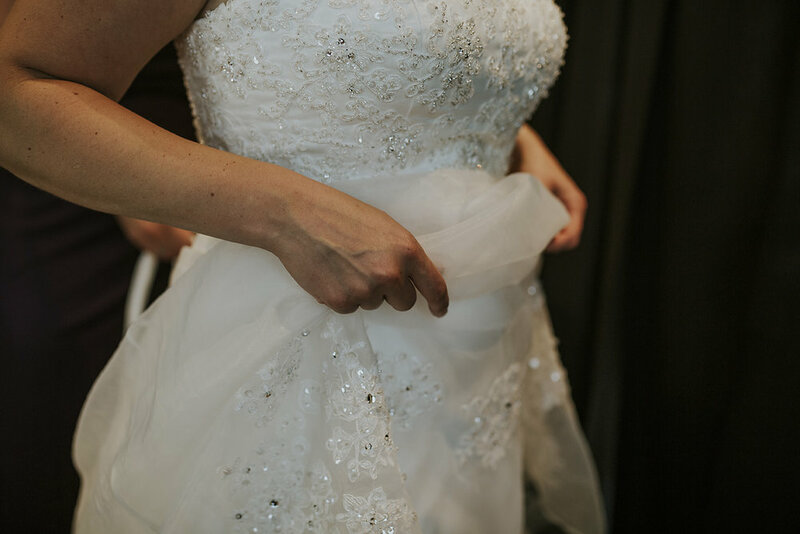 Every detail put into this day elegantly tied together romance and chemistry. Congratulations Mr. + Mrs. Moore! 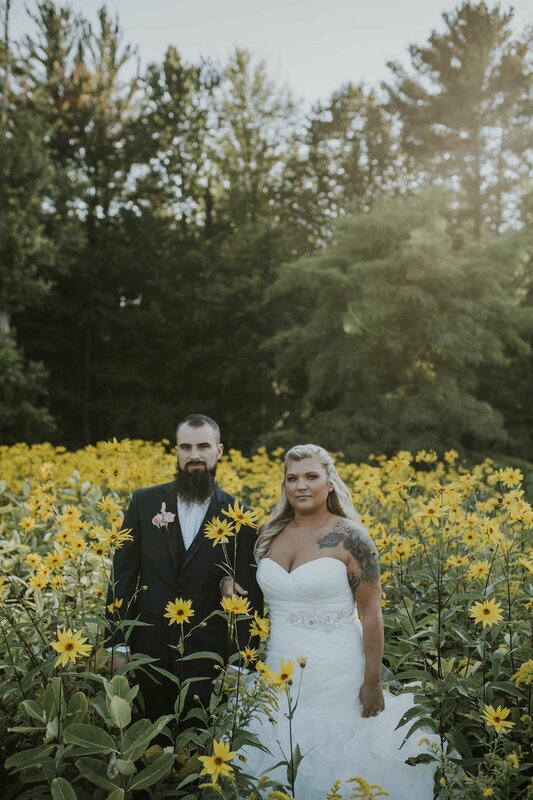 Chelsea and Aaron were married on September 22nd 2017. The entire event took place on the property of Old Stonegate Farms in Nunica, Michigan. It was our first time shooting at this venue and our experience was nothing short of amazing. Though uncharacteristically warm for a September day, not even the heat could steal the thunder from their beautiful fall wedding. We met the ladies at JW & Co. while Kristen finished up her hair and makeup. From there we drove to the nearby venue, Bella Maria's Event Center, where both the ceremony and reception took place. There were a few rogue golf balls flying by but Kristen had a sense of humor about it all and kept one for good luck. With twin boys and two daughters, everyone was in smiles and then tears as Kristen came walking down the aisle. The Yordy's have a love for life and it shows in how they interacted with everyone around them. 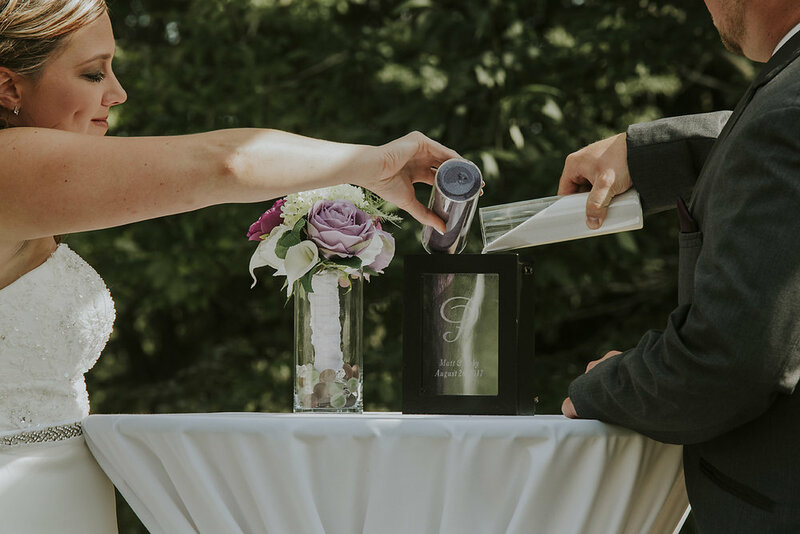 Laura and Andrew were married at the Muskegon Country Club on August 26th 2017. We arrived to their home that afternoon where Laura and her ladies began getting ready. Their energy was high and the excitement for celebration had already started! Andrew and his guys spent the afternoon at The Shoreline Inn. Their ceremony began at 4:30 in the afternoon and was nothing short of romantic. The couple shared personilized vows and brought their audience to tears. The day was full of love and laughter and will forever hold a spot in our hearts. 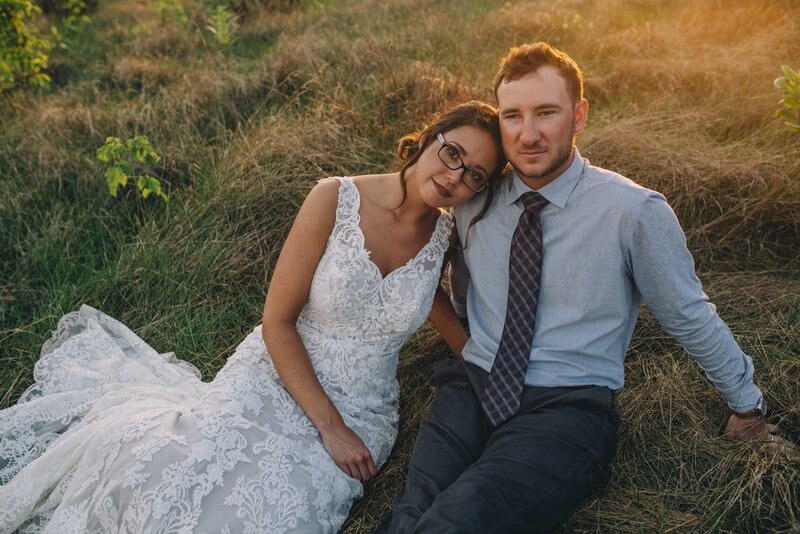 The ceremony took place on the shores of Lake Michigan and we couldn't ask for better weather! Mr. & Mrs. Weersing planned a relaxed itinerary that focused on the love and joining of the two families. We congratulate the lovely couple and wish them many happy years together! 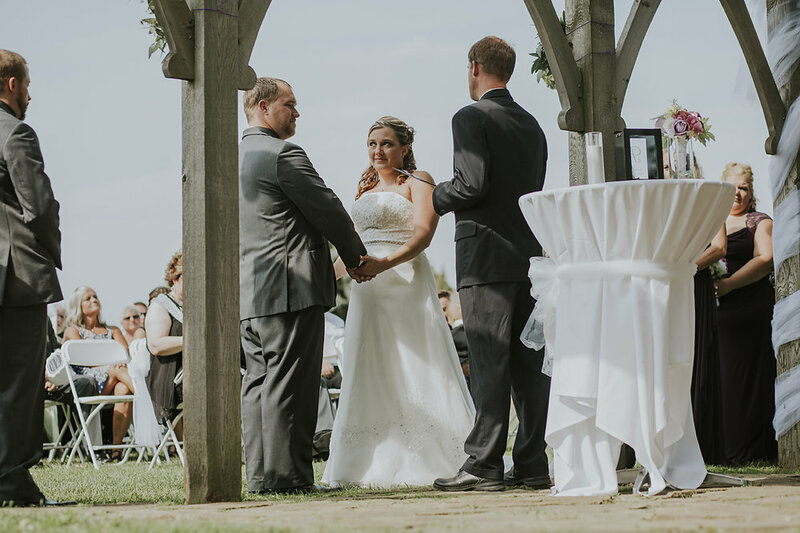 Out in Byron Center, Abby and Matt had their ceremony and reception at beautiful venue, Railside Golf Club. Their little boy Gavin was the cutest ring bearer and cool as a cucumber all day! From cigars and sparklers, golf carts and photobooth props; the day was so much fun. Thank you both for allowing us to capture your wedding. Photography: Wildflower Studios and Jennifer Reyes second shooting! Congratulations to Eric & Beth, who were recently married on a clear, Michigan summer day! 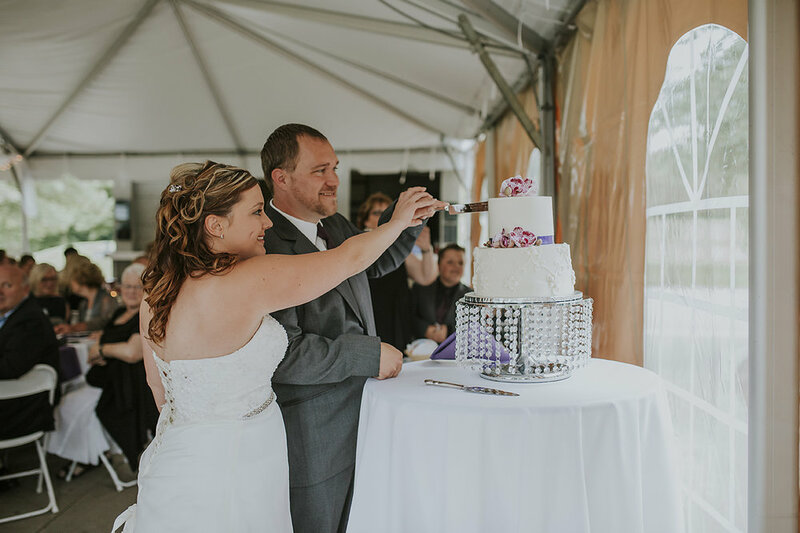 On August 19th, they said their vows at Calvin Christian in Norton Shores and then, spent their reception at The Lake House! Between guests spinning napkins during the grand intro and that awesome donut board, fun vibes surrounded them. 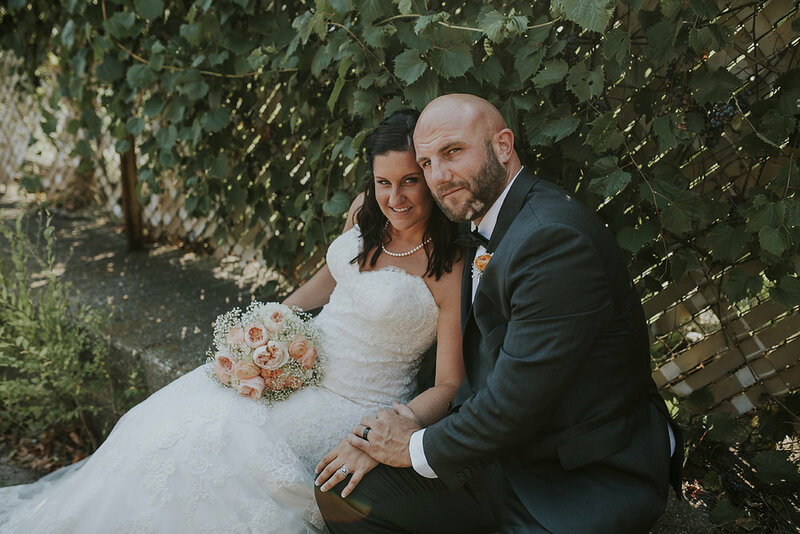 Courtney & Matt Porrett were married on the easiest-to-remember date for future anniversaries, July 7th, 2017. 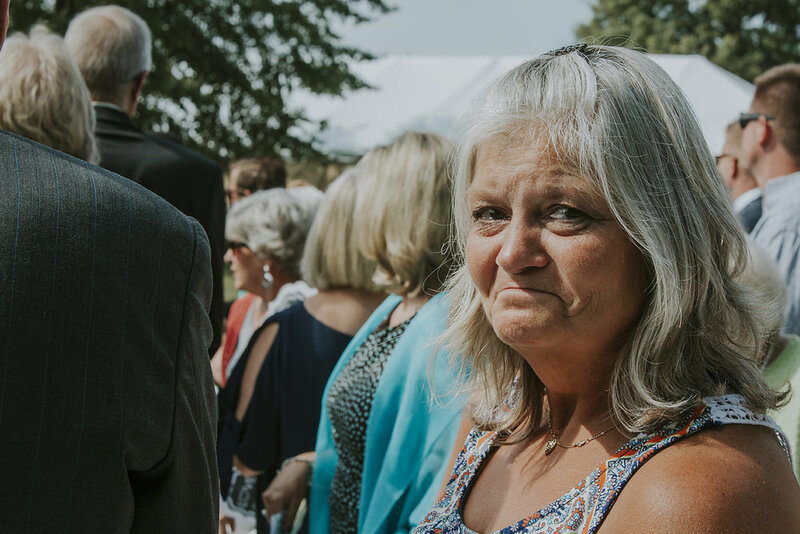 While our day started at the Shoreline Inn with the ladies, we quickly made our way to Hideaway Acres in Spring Lake, where they held their ceremony. After making it all official, the limo followed us to several locations in route to The Lake House. The venue providing their own catering of amazing food, we found a little time to snap some photos in the marina overlooking Muskegon Lake.